I was INSPIRED by a card I saw over at Viva Las Vegastamps! and let me tell you that is something lately since I have lost my 'spark'... Jingle did a fun card using a stamp I just got in my last package of rubbah. You can hers here. 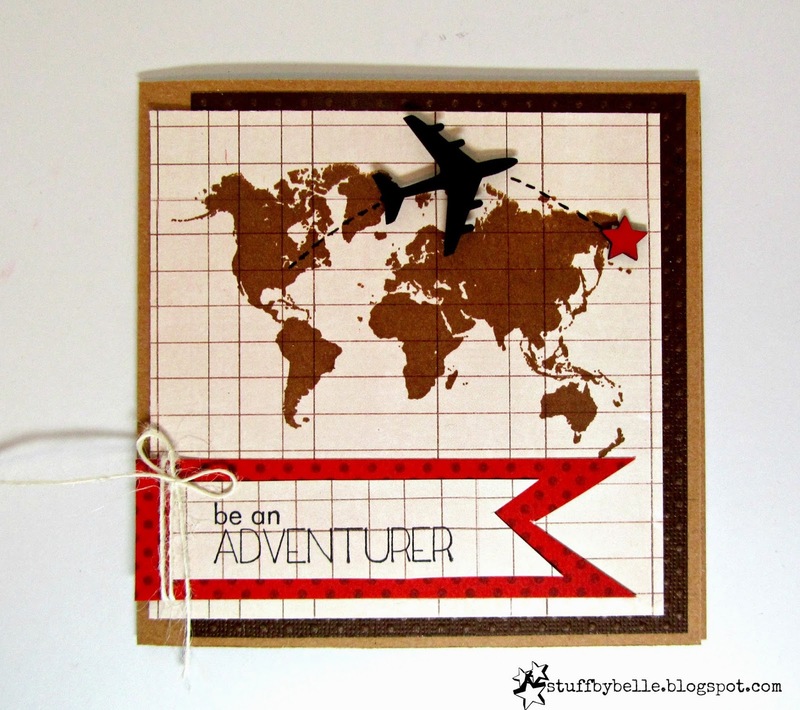 Map of the World and be an ADVENTURER are stamped in archival ink. I used a single star from my Um Wow Studio star confetti which is painted with distress paint. The plane is cut with my Cameo and the burlap twine is May Arts. Oh and all the paper is from my scrap bin! Great card, Michele! 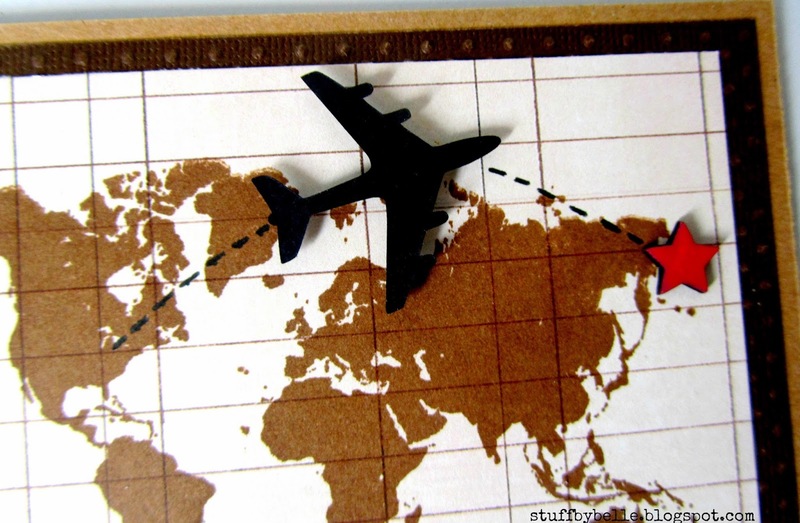 I want that Map of the World stamp…so cool!